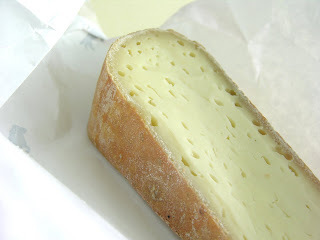 Pic de la Calabasse is a French raw milk cheese that is usually aged for at least 4 weeks. I picked up some of this magical cow’s milk cheese after tasting it at the Cowgirl Creamery, which just recently started carrying it. 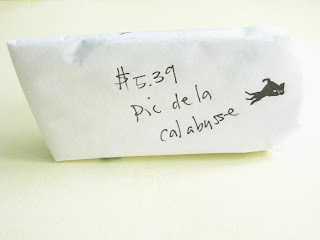 Pic de la Calabasse has a soft, buttery texture and a nice tangy, salty flavor. (I would let it sit out at room temperature for least an hour, or you’ll really be missing out. No cheating.) In short, it tastes like crack and you should get some. Fun fact: This cheese is said to be named after the 7,000 ft peak, la Calabasse in France.